The first stage in the The Division 2’s big post-launch content plans goes live tomorrow, and Ubisoft has taken the opportunity to put out a new trailer detailing more about what to expect from the Invasion: Battle for D.C. rollout. 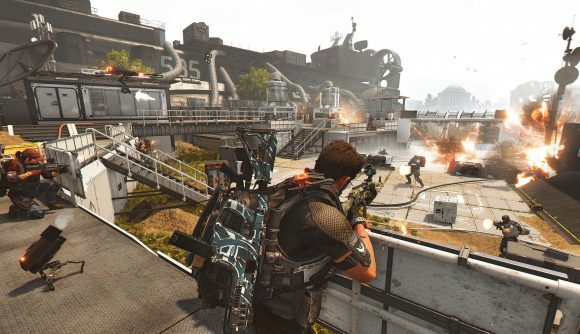 Most notably, we’ve got a release date for the first The Division 2 raid, which will be live in just three weeks. Operation Dark Hours will go live on April 25 as part of title update three. It sets us up for “the epic fight over control of the city,” and will be the first of the game’s eight-player raids. Ubisoft hasn’t provided much more official detail – other than to say it’ll be hard and require team coordination – but a leak on Dark Hours purports to offer loads of additional detail. This update will also bring the first Classified Assignments for Year One Pass owners. The trailer also hints at what to expect from the upcoming fourth specialisation, though there’s no release date for this update. The advanced class will be focused on a minigun signature weapon. Or, it that one’s region-locked, you can get a look at the mirror here. Tidal Basin and World Tier 5 both go live tomorrow, and the update’s also bring a skill power revamp that should finally make high-end builds achievable. The Division 2 has had a strong launch, and the first handful of free updates offer a promising expansion.